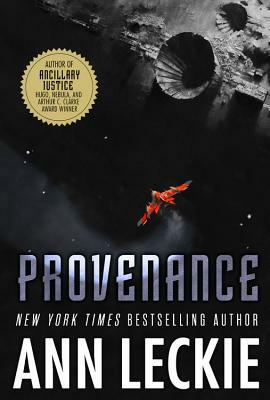 Provenance is the latest novel from Ann Leckie, author of the Hugo, Nebula, Arthur C. Clarke, and British Science Fiction Award-winning novel Ancillary Justice, and its Locus Award-winning sequel Ancillary Sword. Her new sci-fi novel is set in the same world as the Ancillary novels, but follows a new character; a powerful woman on a mission to regain the priceless artifacts of her people. Her first two books were bookseller favorites (including first-floor inventory manager Raul’s and our old kids’ event coordinator Demi’s! 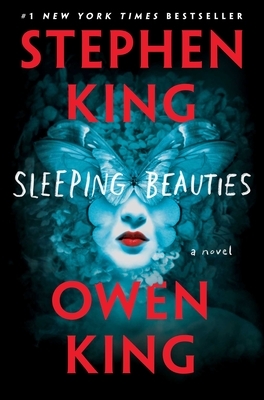 ), and we can’t wait to dive into this new one! It’s on our to-read shelf, but what we’re really excited about is Ann Leckie here at BookPeople, Sunday, October 1st at 5PM! We know you won’t want to miss this event! 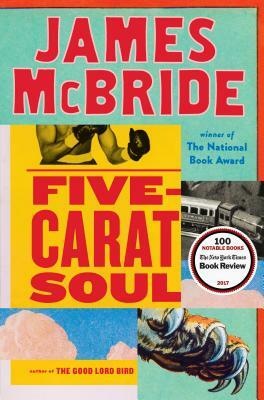 The latest from highly celebrated author James McBride is a collection of stories entitled Five-Carat Soul. These previously unpublished stories spring from the place where identity, humanity, and history converge—all told with McBride’s unrivaled storytelling skill and meticulous eye for character and detail. And, unsurprising, we love them of Five-Carat Soul, marketing director Abby says “I’d read anything James McBride writes, but this collection is especially beautiful, and outdid my expectations.” We are beyond thrilled to host James McBride October 5th at 7PM–we’ll see you there! Muhammad Yunus, recipient of the Nobel Peace Prize for his work in alleviating poverty, has a new book out today proposing an economic system that could save humankind. 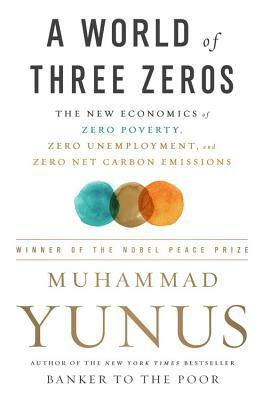 In A World of Three Zeros, Yunus describes the new civilization emerging from the economic experiments his work has helped to inspire, an economic model driven by altruism as a creative force as opposed to the unsustainable and broken capitalist system. We are so excited to welcome Yunus back to BookPeople Friday, October 13th at 7PM! Join us for what is sure to be an enlightening and educational event! Wishtree is finally out and we are celebrating! 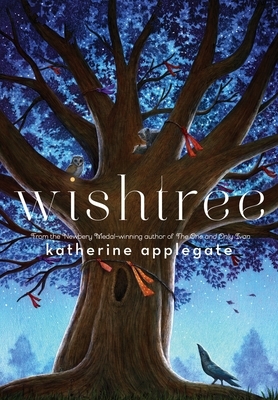 Katherine Applegate is coming to BookPeople for her latest book and we couldn’t be happier! The story of a neighborhood tree many rings old, Wishtree is about Red, an oak tree that people tie their wishes to with little strips of cloth. It’s beautiful, heartfelt, and everything we wish for in a Katherine Applegate book. Kids events coordinator Eugenia says “Katherine Applegate’s writing brings me such joy. Her stories are always heartfelt, full of warmth and Applegate’s classic, charming sense of humor. Wishtree is no exception, and readers who fell in love with The One and Only Ivan and Crenshaw will absolutely LOVE Red. Fantastic story about empathy, kindness, and friendship.” Don’t miss Katherine Applegate, here at BookPeople Wednesday, October 4th at 6PM! From the author of Anna & the French Kiss comes a brand new thriller that we’re so excited about. 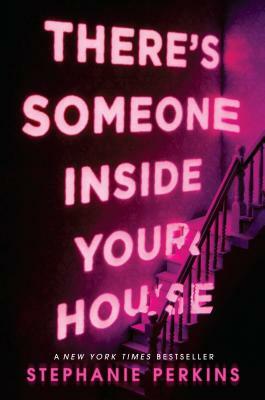 Stephanie Perkins latest is the very best of cliche manipulation–YA specialist Shannon got a teaser of the first 100 pages and hasn’t been able to stop talking about it since. She says “I love Perkins’ books, and she brings that dedication to character and detail to this new YA thriller (which we need more of!) This is my favorite upcoming book to tease because I only got to read a partial ARC that doesn’t reveal the ending (which is /so hateful/) but also I can’t stop talking about not knowing what happens((might change))”. Seriously, you don’t want to miss this one! Plus Stephanie Perkins is going to be @txteenbookfest and we can’t wait! October 7th y’all! 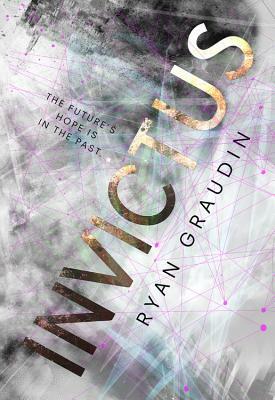 Ryan Graudin has a new YA book out y’all and it’s pretty fantastic. Invictus is time-travel meets coming-of-age story about the odd man out: a young man whose existence violates the laws of nature–Farway Gaius McCarthy, son of a time traveler and a Roman gladiator. Our Teen Press Corps member Evelyn read and reviewed Invictus–she says “This unusual but very enjoyable time-travel book was amazing! Original and entertaining content with fantastic and well-developed characters who have real emotions and relationships..the writing grabbed me and never let go–a definite re-read for me!” Read the rest of her review on the Teen Press Corps blog at boopeopleteens.wordpress.com, then join us and Ryan Graudin @txteenbookfest this year Saturday, October 7th! Brand new from Leigh Bardugo, we can finally enter the Grishaverse in Language of Thorns where dark deals are struck by moonlight, where beasts talk and a river will bend to your will for a terrible price. 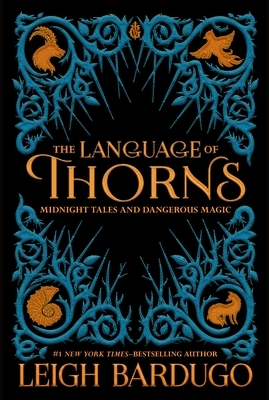 With never before seen stories and gorgeous illustrations that change with each turn of the page, Language of Thorns will transport you to a place both familiar and strange–a world deliciously atmospheric and filled with betrayals, revenge, sacrifice, and love. We’ve been anticipating this book so much–especially our newly appointed floor manager Lojo! A huge fan of Bardugo’s, she’s been counting down the days until its arrival! Now that it’s finally out, she (and the rest of us!) can’t wait to curl up and return to Bardugo’s world of magic and mystery. 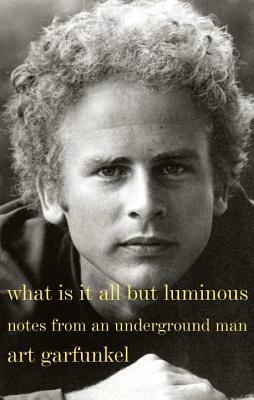 From the golden-haired, curly-headed half of Simon & Garfunkel— What Is it All But Luminous is a memoir (of sorts): artful, moving, lyrical; the making of a musician; the evolution of a man, a portrait of a life-long friendship and collaboration that became one of the most successful singing duos of their time. Interspersed with photos from Garfunkel’s collection and printed in a typeface he designed, What Is It All But Luminous is a poetic and heartfelt journey through time and place. 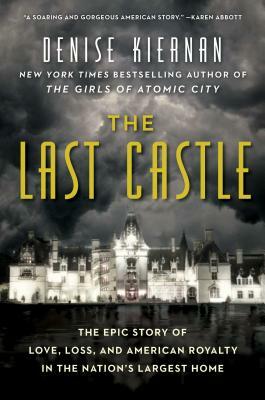 From historian Denise Kiernan, author of bookseller favorite The Girls of Atomic City, comes The Last Castle, the fascinating true story behind the magnificent Gilded Age mansion Biltmore—the largest, grandest residence ever built in the United States.The story of Biltmore spans World Wars, the Jazz Age, the Depression, and generations of the famous Vanderbilt family, and features a captivating cast of real-life characters including F. Scott Fitzgerald, Thomas Wolfe, Teddy Roosevelt, John Singer Sargent, Edith Wharton and more. The Last Castle is the unique American story of how the largest house in America flourished, faltered, and ultimately endured to this day. Here for the first time is the complete short fiction of one of the twentieth century’s foremost imaginative geniuses. More than half of Vonnegut’s output was short fiction, and never before has the world had occasion to wrestle with it all together. These 98 stories were selected and introduced by longtime Vonnegut friends and scholars Dan Wakefield and Jerome Klinkowitz. 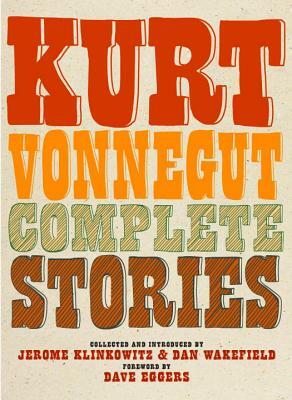 Complete Stories puts Vonnegut’s great wit, humor, humanity, and artistry on full display–an extraordinary literary feast for new readers, Vonnegut fans, and scholars alike. We’re pretty big fans of Dan Santat here at BookPeople, and his latest After the Fall is no exception. 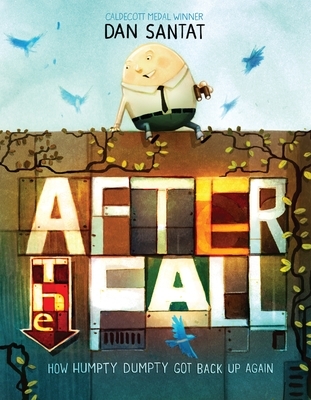 Based on Humpty Dumpty and the Great Fall, Santat’s new book explores how to get back up again. You should have heard our art director Tomoko cheer when The Adventures of Beekle won the Caldecott, of his latest she says “I’m always happy when a new Santat book comes out, but I’m especially happy about After the Fall. Not only was my childhood curiosity about about why Humpty fell from a wall answered, the story is a beautifully illustrated look at a reaction to trauma, growing in your own time, and the victory that is overcoming your fears. Like The Adventures of Beekle, it squeezes my heart when I read it and gives me too many feelings for words!” Don’t forget! After the Fall is one of our picks for the BookKids Books By Mail subscription box that includes a signed copy of the book a Q&A with the author and other goodies! 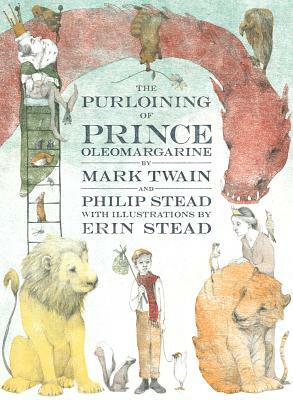 A never-before-published, previously unfinished Mark Twain children’s story is brought to life by Philip and Erin Stead in The Purloining of Prince Oleomargarine Plucked from the Mark Twain archive at the University of California at Berkeley, Twain’s notes now form the foundation of a fairy tale picked up over a century later. With only Twain’s fragmentary script and a story that stops partway as his guide, author Philip Stead has written a tale that imagines what might have been if Twain had fully realized this work. Illustrated beautifully with Erin Stead’s gorgeous pencil and pastel-hued woodblock prints, the story of Johnny and the bullying tyrant king who sends him on a quest to find a missing prince is brought to incredible life! Next Post Celebrating Banned Books Week in BookKids!